Christmas Countdown 2012: 1 day! Today is Christmas Eve! Time to finish up all those loose ends for the big night tonight! It’s time to get the cookies and milk ready for Santa Claus, too — and don’t forget a carrot or two for the reindeer! The now-iconic modern Christmas song Have Yourself a Merry Little Christmas is identified primarily with two singers — Judy Garland and Frank Sinatra. 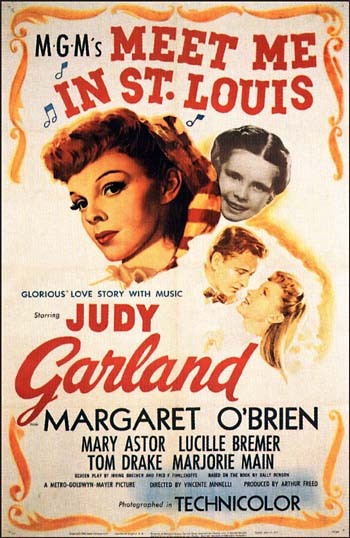 It was Garland, however, who introduced the song to audiences in the 1944 MGM musical Meet Me in St. Louis — 68 years ago. Here’s a look back at the first time audiences heard the song. And, of course, have yourself a merry little Christmas! ← Christmas Countdown 2012: 2 days!